England Lacrosse is delighted to have agreed the creation of an Independent Performance Advisory Group to support the development and performance of our growing talent programme. The group will check and challenge current performance practices within lacrosse and contribute to the recruitment and interview process of future Head Coaches by verifying appointments to ensure they display the correct values and practices associated with high performing programmes. Adrian Cassidy, Anita Navin and Mark Jeffreys bring to the Group decades of industry experience working in talent and performance environments and will provide invaluable independent insight for the organisation going forward. 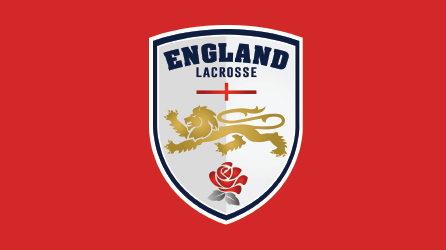 “I’m thoroughly delighted that Mark, Anita and Adrian have agreed to assist England Lacrosse in providing outside support to our performance programme,” commented Jane Powell, National Talent Development Manager. “To be able to call on the knowledge and experience of the Advisory Group will provide an incredible opportunity for our staff and volunteers, in addition to providing confidence in our decision-making processes as an organisation”. Adrian Cassidy - Adrian played a significant role in helping to transform British Rowing into the world’s number one team as a Talent & Performance coach for eight years. He further worked as Chief Coach of Rowing Ireland, through London 2012, implementing selection structures for High Performance Teams and instilling a performance culture throughout the programme. As an accomplished coach, he is experienced in delivering innovative training and coaching programmes, working to modify behaviours to match those of a high performer; empowering individuals to deliver exceptional performances under extreme pressures. Anita Navin - Anita has been involved in netball for thirty-seven years as a performer, coach, talent scout, tutor, mentor, director and consultant, as well as volunteer to numerous advisory groups and panels. Currently Head of School, Sports and Exercise at the University of Gloucestershire, Anita is also a member of the UK Sport Performance Coach Steering Group and Sports Coach UK Coaching Standards Group. She can also be found as a commentator on Sky Sports, covering the Netball World Cup and Commonwealth Games across the last eight years. Mark Jeffreys - Mark, a former junior Welsh Rugby international and National Coach for England Universities Women’s Rugby 7s, is currently Director of Sport & Physical Activity at Birmingham City University. He has worked for over a decade in developing a range of sports coaching courses at undergraduate and postgraduate level, in addition to working with a number of NGBs to develop bespoke coaching qualifications for their high performing coaches including the ECB, England Squash and British Rowing. Alongside his academic work, Mark has also been active in developing structures for sports performance through to elite level and has expertise in talent identification and development with a number of regional and national programmes.